President and Mrs. Obama host an all-star music tribute celebrating the cultural resonance of art and literature in unique American musical forms. The evening includes performances by Buddy Guy, Queen Latifah, MC Lyte, Audra McDonald, Keb’ Mo’, Smokey Robinson, Trombone Shorty, Esperanza Spalding, Brian Stokes Mitchell, James Taylor and Usher, with special readings and remarks from Carol Burnett. The performances commemorate the 50th anniversary of the National Foundation on the Arts and the Humanities Act that was signed into law by President Lyndon B. Johnson on September 29, 1965. The act called for the creation of the National Endowment for the Humanities (NEH) and the National Endowment for the Arts (NEA) as separate, independent agencies, the culmination of a movement calling for the federal government to invest in culture. The event also marks the first hip-hop performance in the “In Performance at the White House” broadcast series. The song selections for the evening draw from American-originated musical genres, including hip-hop, blues and the American Songbook. The hour-long program, part of the Emmy Award-nominated “In Performance at the White House” series, is the fifty-fifth production in the series’ thirty-seven year history. 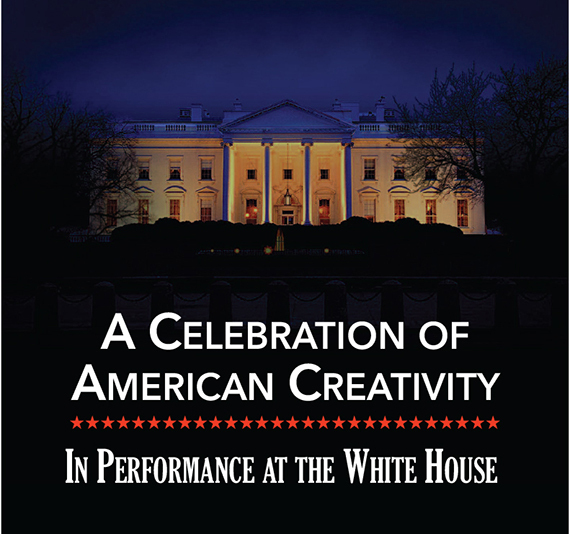 “In Performance at the White House” has been produced by WETA since 1978 and spans every administration since President Carter’s. The series was created to showcase the rich fabric of American culture in the setting of the nation’s most famous home. “In Performance at the White House” events have honored the musical genius of Stevie Wonder, Sir Paul McCartney, Burt Bacharach and Hal David; celebrated Hispanic musical heritage during Hispanic Heritage Month; marked Black History Month with events featuring music from the Civil Rights Movement, Motown and the Blues; explored the rich roots and resiliency of Country music; and spotlighted Broadway and the unique spirit of the American musical. WETA and PBS would like to thank: Executive producers Mark Krantz, Bob Kaminsky, Peter Kaminsky, and Cappy McGarr. Talent Executive: David Paley, Talent Manager: Cat Del Buono, Transpo Logistics Specialist: Billy Amato for Bermuda Limousine International.